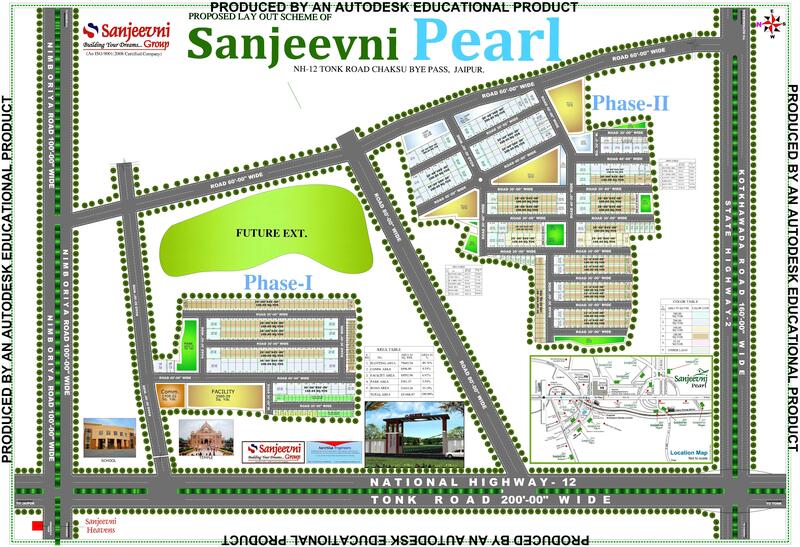 Sanjeevni Pearl is located on NH-12, Tonk Road towards south of Jaipur. South Jaipur is developing rapidly with many mega projects, satellite towns, the biggest Ring Road & other infrastructure projects of repute. All these developmental works are bound to make this part of the Pink City the future posh area as being the case of the south of Delhi. Pink city, the capital of Rajasthan is also the home to most of the important government establishment as well and provides easy access to renowned Schools, Colleges, hospitals, business enterprises, markets and other facilities along with good law and other conditions. in this township we have provide the basic amenities like 30,40 & 60 feet wide road ,water, road, electricity ,park, hospital, temple and school etc. Jaipur properties. Jaipur is seeing lot of development. 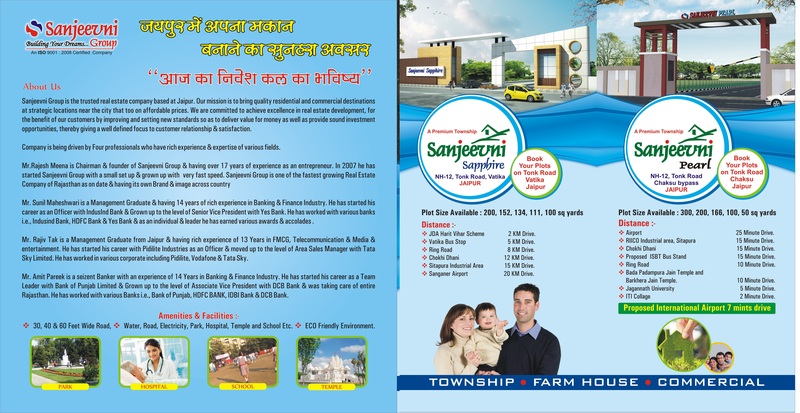 Sanjeevni Group has played an active role in developing primarily integrated residential townships. Sanjeevni group is a well known real estate company in Jaipur.Buy property at best location in Jaipur.